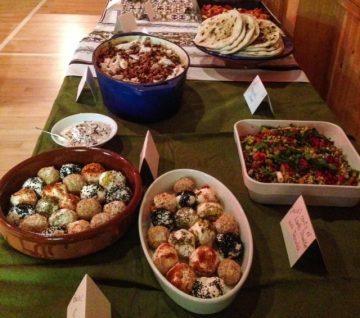 Syrian Meal at Torridon Community Centre, February 2017 | Take One Action! Living on the West Coast of Scotland, the word most people use is ‘remote’ and yes, it is remote physically but also you do feel less connected and affected by the wider world. This feeling made me realise that I had to be creative to ensure that issues that I care about did not get lost or ignored. The plight of Syrian refugees is one such issue. I wanted to somehow share concern and give people an opportunity to explore new things as well as discuss issues. A meal of Syrian food then was the obvious way and seeing the approach of Cook for Syria provided a bit more inspiration. Adverts were placed in An Carranach based in Lochcarron and Gairloch News to spread the word, then Facebook and emails did the rest and the numbers started rolling in. 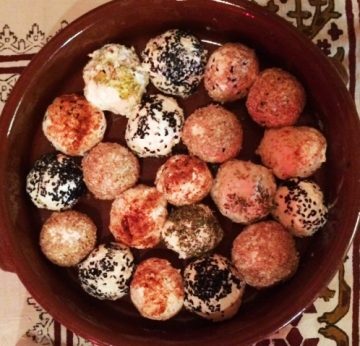 I wondered if I could manage everyone and so appealed for some help and local cooks rose to the challenge of cooking a wide variety of Syrian food from chicken with freekeh and cod with zaatar to ma’amoul biscuits and baklava. The spread ended up being fantastic and almost all the 50 plus people who came had never eaten Syrian food before. The talk on the night was about the food, the event, the issues and challenges faced by refugees and ways in which a community like ours could support them. People came from Torridon, Shieldaig, Lochcarron, Arrina, Gairloch and Kinlochewe. This diversity made people comment, “ I usually know everyone who attends events at Torridon Community Centre, but I certainly don’t know everyone here.” New friends were made. A friend I see every week to play badminton, discussed aid and development in a way that we have never had the opportunity to before. A man visiting from Shetland (who turned out to be the locum minister) won a ma’amoul mould in the raffle and changed his whole sermon the next day to discuss Syria and passed the mould round to give everyone an opportunity to reflect on the plight of the refugees. 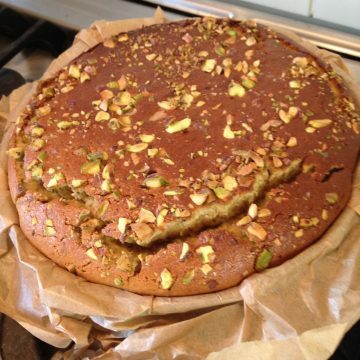 People are still coming up to me and telling me about Syrian food they have explored and tried to cook afterwards. So, in the end, raising nearly £1000 for Oxfam Syrian Appeal and Highland Supports Refugees was not the only outcome There was debate, shared food, new tastes, challenges and a shared sense that we are not necessarily powerless, even though we may still be ‘remote’.